Enjoy two and a half hours of riding horses on beaches and trails along Playa Conchal, considered to be one of the most beautiful beaches in Guanacaste, Costa Rica. 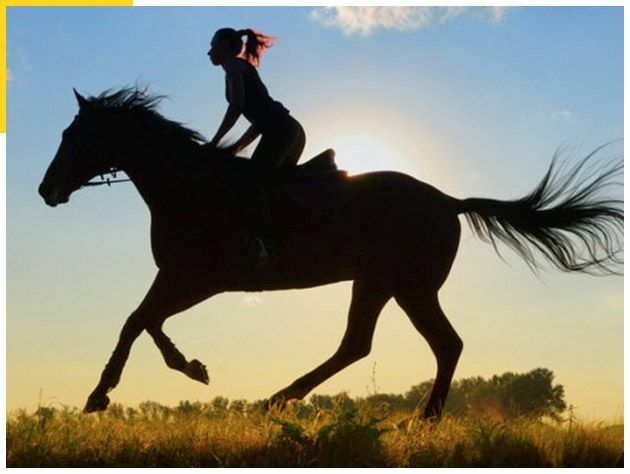 Our horses are well cared for and trained to allow even the most novice rider a safe, comfortable ride. On this tour, your guide will point out flora and fauna native to the area. You might also see iguanas, monkeys, special birdlife and more. Stop along the way and enjoy cold coconut water or other refreshments (not included). On our horseback tours in Flamingo Beach you will also have the opportunity to gallop at certain points and our guides are always happy to stop and take pictures for you and of you. Why go horseback riding? Because you can see the world from a whole new perspective almost as if you were six feet taller.